Virtual reality might well be one of the biggest trends to follow in the coming years. It had been a dream since the early 90s but it’s only really been feasible for the past couple years. Now that VR is a reality, it’s growing at a fantastic pace. As with any technology, there’s clear leaders in the field. 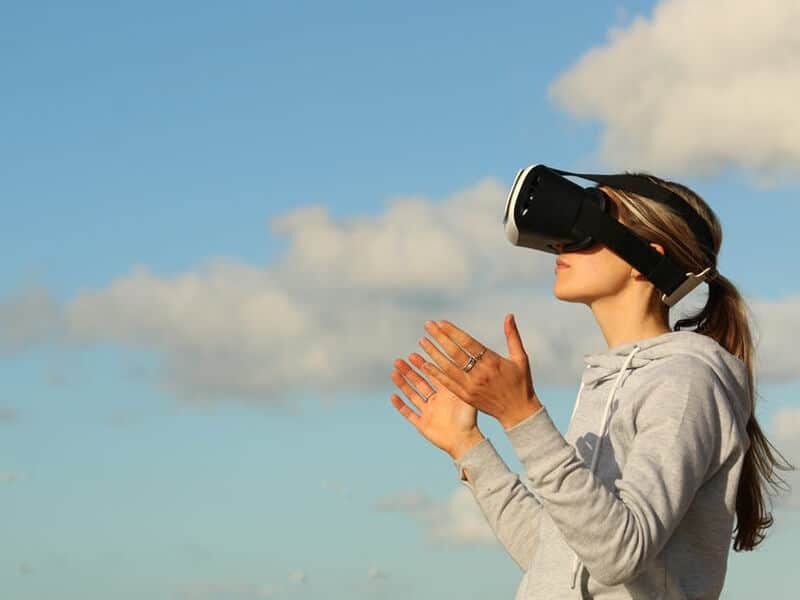 In this article we’ll examine the companies who are innovating or driving the course of VR. We’ll rank by overall success and influence. Next VR brings something different in comparison to other listings. And this is in part the reason why it’s rather low on the list. At the moment it’s a lot more about the future than it is the present. VR tends to come hand in hand with gaming. The vast majority of VR demonstrations center around games. But Next VR is trying to expand VR’s scope. They want to use VR to make it feel like the user is actually in a live event. For example, one could buy a ticket to a concert. Not to physically go there, but to instead experience it in VR as if they were right there in the audience. This would open up performances or sporting events to people all over the world. It might not be one of the top players in VR right now. But it’s clear that they’re among the top virtual reality companies to keep an eye on. Unity is most well known for their unity engine. It’s the technology powering some of the best games in the past few years. But what many people aren’t as aware of is the fact that Unity has also put a lot of work into VR coding. They’re trying to do for VR what they’ve done for 3D gaming. Basically creating a software framework that people can easily work with. It’s one of the top virtual reality companies to watch for a good reason. They’re the company powering other companies. At the moment their XR API serves as a basic foundation within their underlying engine. The technology doesn’t just power VR either. It’s also easy to leverage it into augmented reality projects. Microsoft might not be most people’s first thought when VR comes up. For example, their Xbox console doesn’t have any VR support. But that’s also why they’re among the most important companies to keep an eye on. If anyone has the resources to push new technology it’s Microsoft. And they’re getting ready to make a big push with their HoloLens system. It’s still fairly early in their overall development and deployment plan. But that’s why they’re among the top virtual reality companies to watch this year. Many of the other companies are held back by the fact that they’ve already put their innovation on the table. But Microsoft has yet to firmly define their role in the VR ecosystem. Their actions so far seem to portray the company as a more universal player. One which wants to work with every form of digital reality technology. From virtual reality to augmented reality. The Oculus Rift was the first resurgence of real VR. And it was the first time that home VR actually met the public’s expectations. When Facebook bought Oculus VR they also brought some impressive resources to the table. There’s little doubt that Oculus VR is among the top virtual reality companies. But in large part thanks to Facebook they’re also among the top to keep an eye on. Monetary concerns hampered early Oculus development. Those concerns are gone now that Facebook has tied themselves to it. As such one can imagine that some amazing things are on the company’s horizons. Google might well be one of the fastest moving VR companies. They began with little more than blueprints to cut cardboard holders for a smartphone. These then shifted to more solid goggles. And finally they introduced what might well be their largest contribution. Google created a set of coding protocols known as Daydream. The most interesting thing about Daydream is the fact that there’s little barrier of entry. Larger headsets enhance the experience. As do secondary input devices. But the only thing really needed to use Google’s VR is a smartphone running Android 7.1 or later. This is what makes Google one of the top virtual reality companies. They’ve managed to bring a normally expensive experience to devices that might cost less than $100. It’s by no means cutting edge in terms of immersion. But when one looks at overall reach the importance is clear. And Google almost certainly can continue the trend. HTC sits rather high in this list. And one might imagine the reason simply comes down to an established platform. To be sure, the HTC Vive is among the most powerful VR platforms. But there’s something far more interesting about the company. HTC is heavily tied to Valve. And with that they’re now working with the single largest PC gaming distribution platforms. This creates a pairing of the top PC gaming platform and top VR system. It’s easy to see why this puts HTC among top virtual reality companies to watch this year. Sony doesn’t have the most powerful hardware for their VR setup. But what they do have is resources and drive to push limits. The gaming industry up until very recently had strong evidence that console upgrades didn’t work. It had been almost 28 years since the last fully successful console expansion. But Sony had faith in their VR and pushed it to the public. Alongside a new iteration of the PS4 which could offer better compatibility. And it’s worked. This more than anything else gives Sony the first place in the list. They’re putting more work, trust and effort into bringing VR to the masses than almost any company. And with their resources and success so far it’s clear they’ve got a lot to offer. Sony almost certainly has big plans for this year. Most of the companies listed might seem more different than similar. But this is one of the threads to take special note of. VR is still an emerging technology. Its state of the art a few years down the road might well seem more different than similar. The most innovative companies highlight this trend. This list is made up of companies with diverse opinions. And likewise, readers should weigh in with their own thoughts. It might well predict new trends and hits.